HTC Pyramid Available in France next Month! After we heard a lot of rumors regarding to HTC Pyramid, one of the most awaited handsets from HTC, looks like the new device will be available in France at the end of the next month (May). It’s a very nice looking smartphone, especially because of the high-end specs, such as a 1.2 GHz processor and a 4.3 inch qHD display. The French operator which will release these “beauties” will be SFR, in case the rumors are true. Additionally, HTC has an event programmed for April 12th, that’s why it’s quite sure that they will introduce HTC Pyramid after the countless rumors. The handset features Android 2.3 with HTC Sense 3.0, 768 MB RAM, a 1.2 GHz processor, a 4.3 inch qHD display and 8 MP camera supporting 1080 p HD video recording. First Samsung Galaxy S II Hands-On Video! 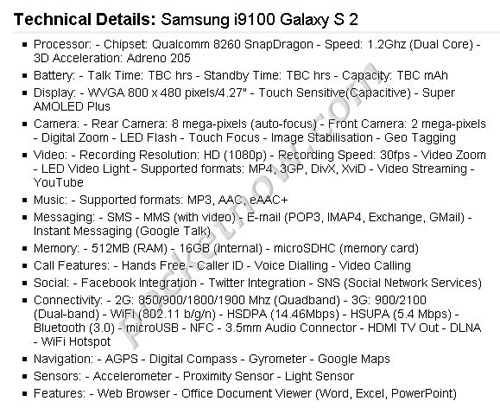 Here is it folks, the Samsung Galaxy S II’s hands-on video is live and official specification info has been granted, thanks to Engadget. The handset is the thinnest smartphone available, measuring only 8.49 mm (yes, even thinner than SE Xperia Arc), while it boasts with a 1GHz Dual Core CPU based on the Samsung-Made chipset, Exynos. Let’s take a look at the design. As already told in the previous article, the top of the screen sports the proximity sensor, the speakers and the 2MP front-facing camera for video calling, while at the bottom of the screen you can notice the Menu, Home (Navigation) and Back buttons. The interesting part is the back of the device (previous article didn’t include it), where we can find an 8MP camera which supports 1080p video capture (quite awesome), along with an LED Flash. The display‘s diagonal measure is uncertain, but we assume that it could be around 4.3 inch, featuring the Super AMOLED Plus technology. 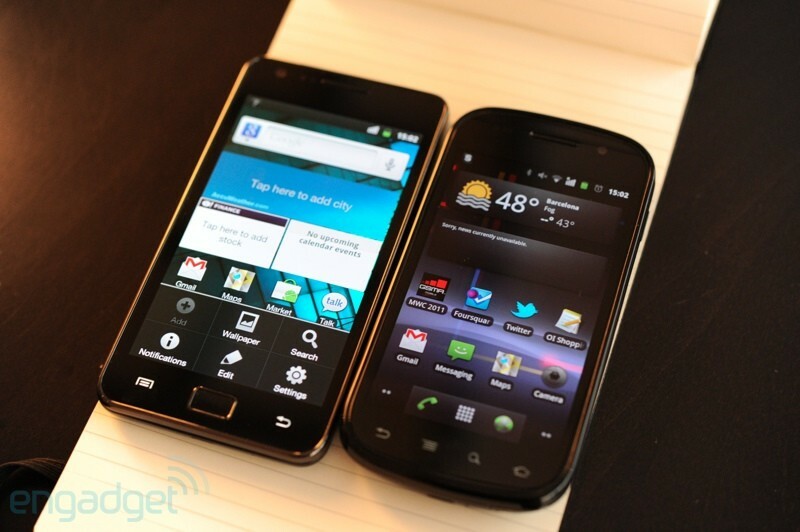 According to Engadget, the screen is very bright, opening a possible war between LG Optimus Black’s and Samsung Galaxy S II’s display. Regarding to the software, we hear that the OS that it’s running is the Android 2.3 Gingerbread, though unfortunately the UI is the Samsung-made TouchWiz 4.0. In the hands-on video, noticeable is the fact that while adding a widget is a lot more complicated than the original Android’s solution. No price detail has been given, although the release will be this month, however, only in Asia and Europe. No word of North America, but we suppose that it won’t last longer than 1-2 months. 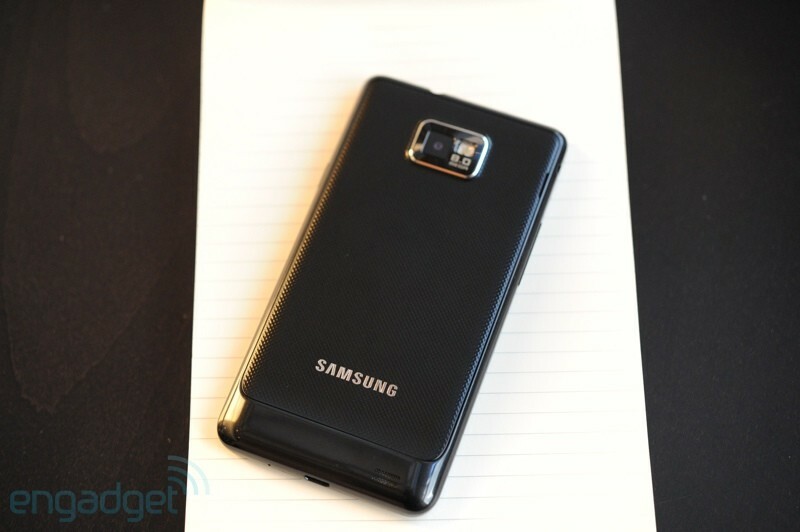 Samsung Galaxy S2 Image Leaked! Just two days before MWC, a Samsung Galaxy S2 picture has been granted, thanks to Daum, who also claims that the new handset is only 8.49 mm thick compared to the first Galaxy S’s 9.9 mm, weighting just 116g. At the top of the screen we notice the speaker along with a 2MP front-facing camera for video calling, while at the bottom of the screen there are 3 buttons: Menu, Home (Navigation) and Back. 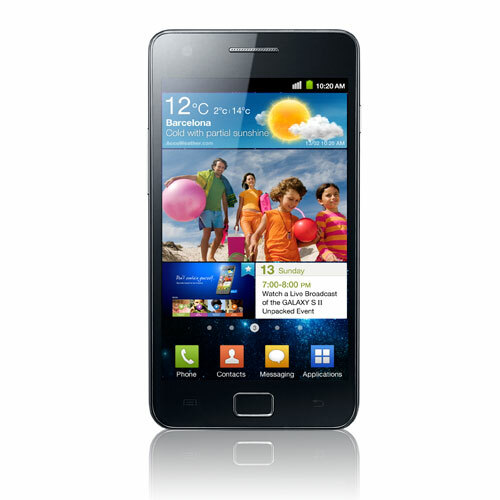 The handset features – most of the specifications can be found here – a 4.3 inch Super AMOLED Plus display, 1 GHz Dual-Core CPU, HSPA+, Wi-Fi 802.11b/g/n and the Android 2.3 Gingerbread OS. Additionally, the user interface is a new one, possibly borrowed from Bada OS. We’re excited to see the first hands-on video during Mobile World Congress‘s first day. There is no big surprise that specs of several smartphones – upcoming MWC 2011 devices – are being leaked just before 2 days from the Mobile World Congress. The specifications of Samsung Galaxy S2 has been revealed thanks to the British retailer named Expansys, featuring a Dual Core CPU and an impressive Super AMOLED Plus display. There’s no information about the battery life and operating system, but I assume that the Android 2.3 Gingerbread would be the ideal. Additionally, there is a possibility that Android 2.4 will be the running OS, but that’s not sure. I think the Galaxy S2 is a great phone regarding to its specs, if the design and price are going to be decent enough, then the chances for being one of the best smartphones presented at MWC 2011 would be higher than the others.